This is a free introductory course into Lei Fa, a classical form of Taoist sorcery. Lei Fa (雷法), translated into English as Thunder Rites or Thunder Magic, is a tradition of ceremonial magic and Chinese occult craft that rose in popularity during the Song Dynasty of China (A.D. 960—1279). In Eastern esoteric traditions, Lei Fa is considered one of the more advanced practices. Chinese characters for Lei Fa, Thunder Rites. Left: Oracle Bone Script. 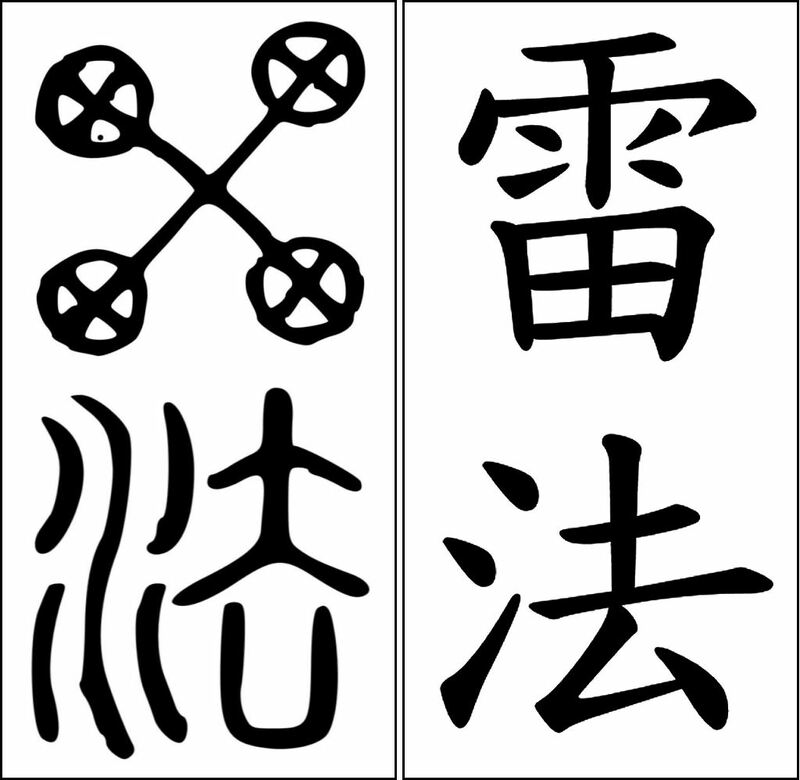 Right: Traditional Chinese. Click to download. There are both inner and outer alchemical forms of Thunder Rites. Methodologies are premised on the belief that thunder is the divine command of Heaven and a practitioner can harvest the power of thunder to absorb powers from Heaven and use those powers to both exorcise demons and heal sickness (because, for the most part, historically sickness was attributed to demonic possession). Craft your own bloodstone talisman for shielding and cloaking, inspired by what we read from Pliny the Elder, the Grand Grimoire (Red Dragon), and The Book of Secrets of Albertus Magnus. In Episode 8 of our Tinkering Bell series, we’re talking about bloodstone. Specifically, it’s about looking to a couple of medieval sources for inspiration to craft a bloodstone talisman, done over the course of about 8 days. This talisman is for personal shielding and divine protection, and according to lore, one of the most powerful shields against demons, warding off curses or those trying to curse you, and all mannerisms of bad juju. I’m writing this post mostly for my own benefit because I get the question asked so often and I’m kind of getting to the point of laziness where I dread typing and rehashing out my answer. Now in the future I can link to this post. Everything I share….everything…is set with the intention, the hope, and aspiration that if you’ve found it, resonate with it even when it’s not your culture or even anywhere close to what ordinarily enters your personal path and craft, that you will nonetheless feel an untainted, anxiety-free freedom to integrate it into your path. A spell oil is at its essence a form of alchemy where you combine certain herbs, stones, or other natural ingredients for their metaphysical properties and the specific combination and proportion of ingredients used is all significant for yielding a particular result. The result is one where life force in your environment is modified or amplified in such a way as to render those energies more conducive for achieving the success that you’re seeking. This primer will cover the basics on spell oils, how to craft your first spell oil, and also notes for consideration if you, as a practitioner, decide to craft spell oils for others at some point and how to go about doing so. I mark a distinction between spell oils and anointing oils, though let’s acknowledge that not every practitioner does. So, since I’m marking a distinction, I should probably explain what I think the difference is. When I craft a spell oil, it’s only one single bottle at a time, for a specific purpose, intended for a specific beneficiary. It’s custom crafted. I don’t personally craft spell oils in bulk, but I’m also not a commercial proprietor (meaning, it’s perfectly fine and legit to be crafting spell oils in bulk, under specifically defined circumstances, however). When an oil consists of a very specific proprietary recipe and a specifically instructed ritual is used to activate the oil once in the hands of an individual, even when made in bulk, I would still consider that a spell oil. An anointing oil assists. It becomes part of the practitioner’s toolkit. It’s folded into the greater ceremonial process of a ritual or working. A spell oil is the working. It’s not part of a toolkit. It’s a done deal and it’s intended to help the recipient manifest something. A spell oil is a spell. An anointing oil by itself is not a spell. I guess I also think of spell oils as something for everybody, anybody. Whereas anointing oils I think of as more tailored toward practitioners of craft and for facilitating that craft. Of course, lines do blur between the two. This post is about spell oils, hence the “(Cf. Anointing Oils)” because we won’t be talking about anointing oils. Some of you are familiar with the Tinkering Bell video series already. This page is a consolidation of all episodes so that you can work through the materials as a free comprehensive practica on esoteric craft. Each video and accompanying text below is one practicum for you to work through. In other words, there’s a “homework assignment” for you to do after each episode. I’ve designed this series to be a collection of practical applications of craft for you to actually try out. Take notes during your process to document your own methodologies and also your impressions of the craft. When you’ve finalized something that works for you, take the time to add it to your personal grimoire. In the links provided to each episode’s instructional page, you’ll find one section titled “Homework: Your Practicum.” That is where you’ll find the recommended practicum to try out for yourself, based on the material covered in the episode. All written content and reference files are also provided so that you can write out a comprehensive page or page spread in your own grimoire after each practicum. 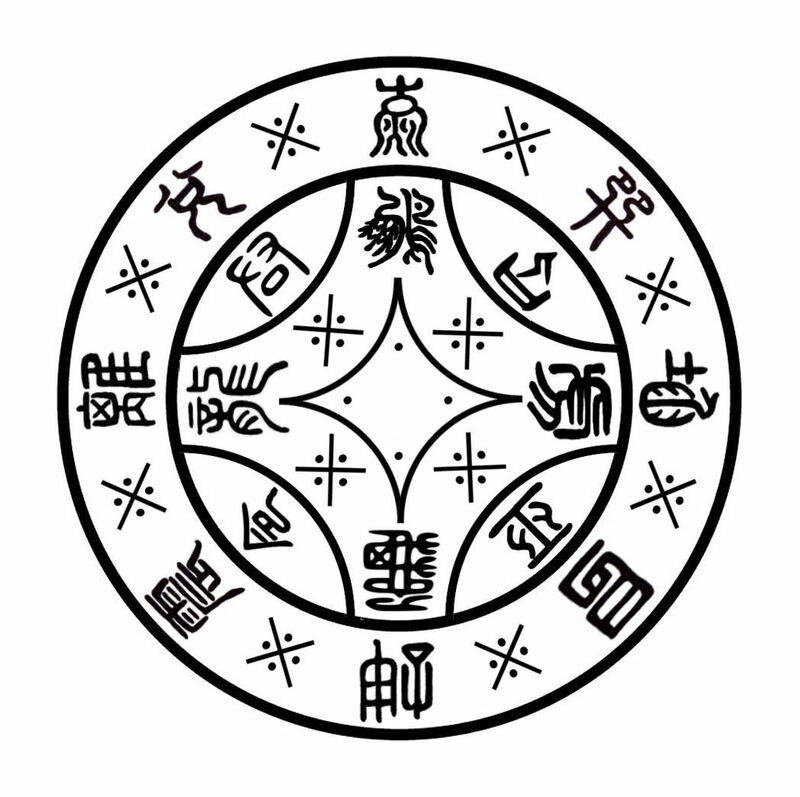 The Seal of Changes is a template for crafting 64 talismanic sigils that harness the 64 powers encoded into the I Ching: Book of Changes. In this practicum video, I’ll share with you my favorite one: the Seal for Raising an Army based on Hexagram 7. If you want to fully understand how to operate the Seal of Changes for controlling the 64 powers from the I Ching, then you’ll first need to understand the 64 hexagrams of the I Ching and some of their metaphysical and occult correspondences. A great place to attain a solid foundation to that regard is my “I Ching and Practitioner” course, which you can find and order below. I made a Tinkering Bell practicum video on crafting Holy Anointing Oil, as it had been instructed in the Book of Exodus, and also the derivatives found in later occult texts, such as the Book of Abramelin, a medieval grimoire on Kabbalistic magic, and Aleister Crowley’s Book of the Law. Today, the day of the posting, January 15, we see the sun and moon in Capricorn already (quite the stellium going on in Capricorn right now actually). Tomorrow January 16 is the new moon in Capricorn and at 6:00 pm Pacific Time (you’ll need to do a time zone conversion accordingly), both the sun and moon will be at exactly 26 degrees. I’m sharing this practicum one day before the new moon so you have some time to make preparations as needed, should you want to try crafting the oil for yourself. This accompanying blog post is an addendum to the video, where I reflect on my personal impressions. What I’m sharing here are based on the journal entries I logged while crafting this oil. Watch the video first before reading any of the below, as everything onward will presume you’ve already seen the video. Chinese moon block (Jiao Bei, 筊杯) is a form of divination that you’ll often find at Taoist or Buddhist temples. There may be a dish of moon blocks by the altar and the purpose is for you to ask your question to the deity venerated at that site, then throw the moon blocks for a yes or no answer. They’re used to communicate directly with gods and spirits. The traditional perception here is unequivocally that of divine communion. Predecessors to the moon blocks are covered in the video, from the tortoise shells to the clam shells. I also instruct on how to clean out two clam shells from your next seafood dinner and ritualize them in preparation for divination uses. Priests, priestesses, shamans, and witches, in particular witches from those cultures who lived by the seas, would use clam shells (or small tortoise shells) for divination. Eventually, the concept evolved into the red moon blocks that are commonplace today. They’re one of the oldest forms of Chinese divination, alongside the I Ching, though throughout history, have taken many forms. This video practicum teaches you how to divine with moon blocks (or clam shells, tortoise shells, etc.) and how to consecrate and empower a set to become used exclusively for divinatory purposes. The following ritual instruction is for charging and empowering your divinatory tool, specifically your moon blocks, to be used for spirit communications. The instructions can be followed for either clam shells or tortoise shells. Your Divination Cheat Sheet is a quick reference guide for the meaning of each divinatory result from your moon blocks. Alternatively, if you opt to use clam shells or tortoise shells instead, an interpretation guide is provided for both as well. If you’re feeling enthusiastic about traditional moon block divination, then you might be interested in buying your own set of moon blocks. You can often find international sales of these through E-Bay or Etsy. My general personal recommendation, if you are buying it international, is to source from Taiwan. Broadly speaking the Taiwanese tend to be more superstitious and religious about these things, and so they are going to be more attentive, more thoughtful, and craft-wise, more serious about their moon block production. Culturally, mainland China is more atheistic and capitalist-oriented, so just in terms of probability, you’re not as likely to find a seller who is actually a practitioner of craft. Craft Your Own Moon Block Set: I say “moon block” for convenience of reference here. You can use clam shells (probably the easiest for most people to source) or empty tortoise shells (if that’s something you have access to). Even if you decide you really like the red wooden moon blocks and end up buying a set for yourself, I recommend crafting your own divination set because the process of crafting your own divination set from scratch is insightful on its own merits. You can even cut two cross-section slices of a thick branch for two disks to be used. Paint one side one color to represent yin, and the other side a contrasting color to represent yang. Or find two flat, rounded stones of about equal size and inscribe the two sides to symbolize yin and yang. Then follow the “Empowering Your Moon Blocks” reference guide provided above to consecrate and charge your divination set for divine communion. Grimoire Reference Page: Before you memorialize this divination method in your personal grimoire, work with the method first. Take some time to try different approaches to the method first, such as crafting your own moon block set, trying different materials, from the clam shells to wood disks or stones, etc. Your creativity is your only limitation. If you really want to get your hands on the red moon blocks, then do so and work with that for a few moon cycles. Finally, once you’ve got a personalized hang of the process and how it operates for you as opposed to what I say in this tutorial, log your divination how-to in your grimoire. Be sure to take notes during the video lecture on the historical and cultural background of the divination method and include those in your grimoire as well for context. “Poison magic” is the English translation for a tradition of black magic, or malevolent spell-crafting, found in Chinese witchcraft and Taoist sorcery, called Gu Dao (蠱道) or Gu Shu (蠱術) [Long form: 蠱道巫術 or Gǔ Dào Wū Shù]. You might also find it translated as Ku. Those who have read Chapter 13 from The Tao of Craft know my stance on so-called white magic versus black magic, i.e., energy work inherently is neither good nor evil, but it is the intentions that humans put into the work that we may categorize as either good-intentioned or evil-intentioned. Thus, it is important to note here that Gu Dao is not necessarily evil-intentioned. The tradition of Gu Dao, or Ku, is multi-faceted, nuanced, and complex, which I hope this video will be able to expound upon. Plus. What better way to talk about baneful magic than through a campy Tinkering Bell video? Exactly. In my world view, it’s important to start occult study with the elephant in the room. I don’t understand why practitioners would wait until the very end to cover malevolent spell-crafting or not even address it at all. Not addressing it doesn’t change the fact that it exists. Better to address it head-on, with eyes open, get yourself informed, figure out what your own bright line ethical boundaries are, and then continue on your course of study. Your Code of Ethics: Take this opportunity to reflect on your own code of ethics when it comes to craft. Where do you draw the line when it comes to baneful magic? While I am a strong proponent that all practitioners learn as much about metaphysical craft and occult study as they can, including aspects of craft they might not necessarily agree with as a form of personal practice, I also advocate that you draw bright lines for yourself, write down what those bright line rules are, and then never cross them. For reference, also consider watching two Bell Chimes In videos: (1) Curses and Baneful Craft, and (2) Can’t Curse, Can’t Heal? Three Poisons Karmic Requital Spell: If the three poisonous ingredients I mentioned in the video are ones you can source easily where you live, then use those. Otherwise, take some time to do research on natural poisons and what can be sourced locally for you. During the episode, take notes on the instructions for how to follow the Three Poisons Karmic Requital spell, a form of Ku, or poison magic. Formalize and organize your notes into a comprehensive how-to that you can add to your personal grimoire. Before adding it to your grimoire, research different poisons and include that research as reference material in your grimoire to go along with the Three Poisons Karmic Requital Spell.